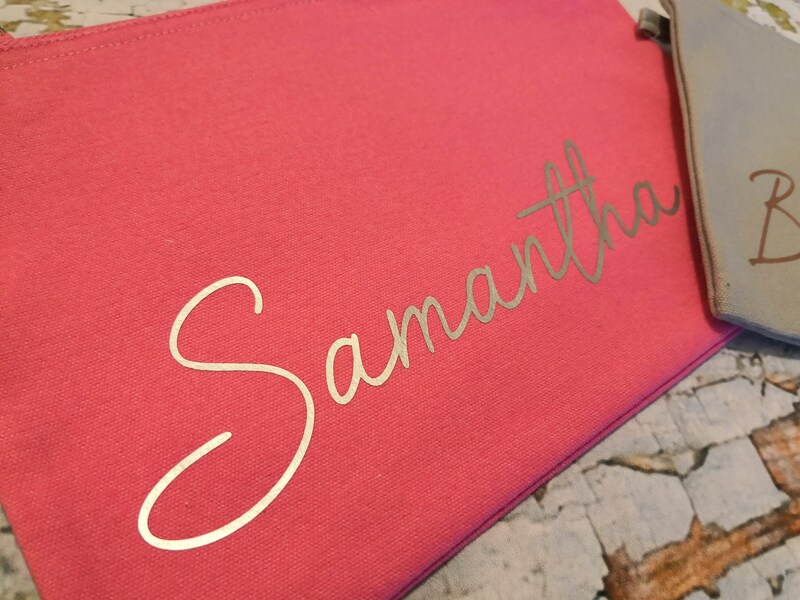 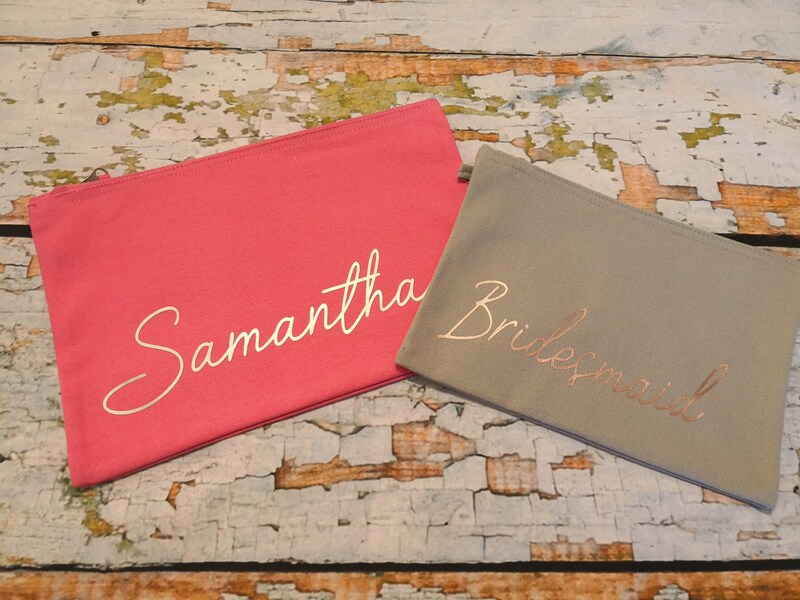 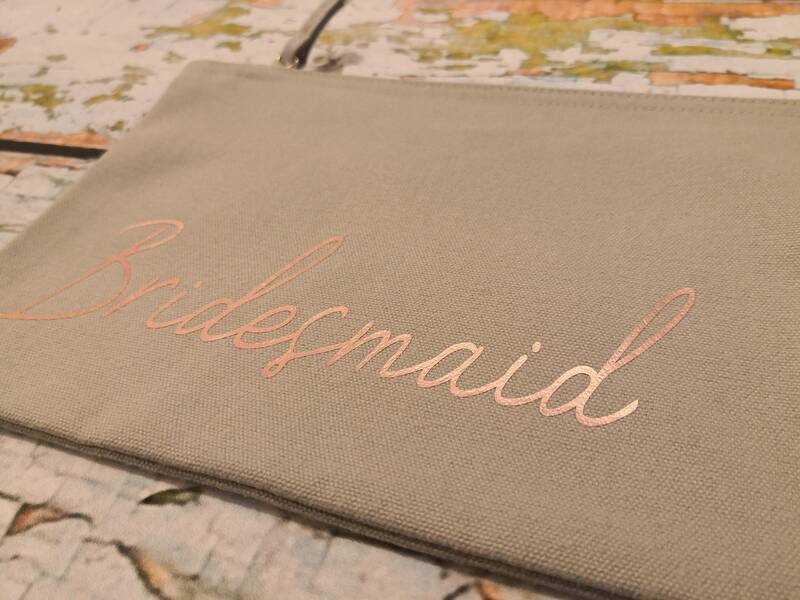 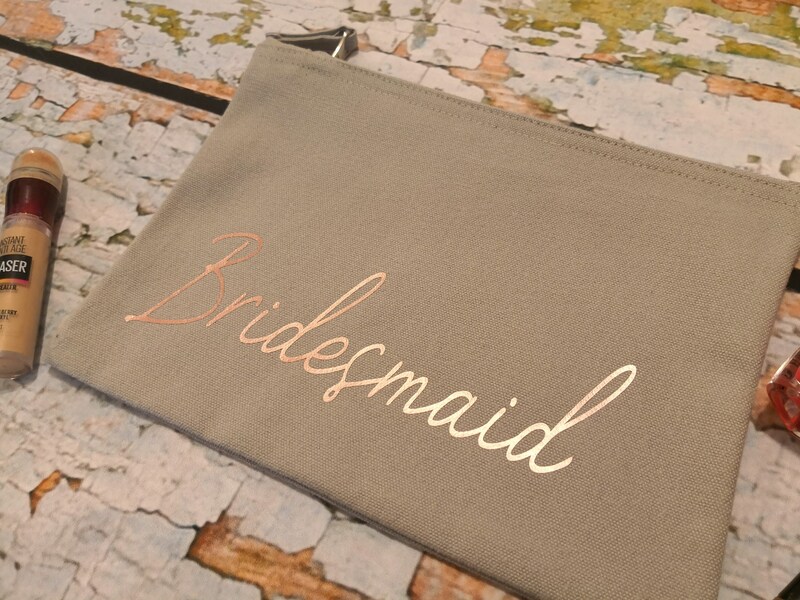 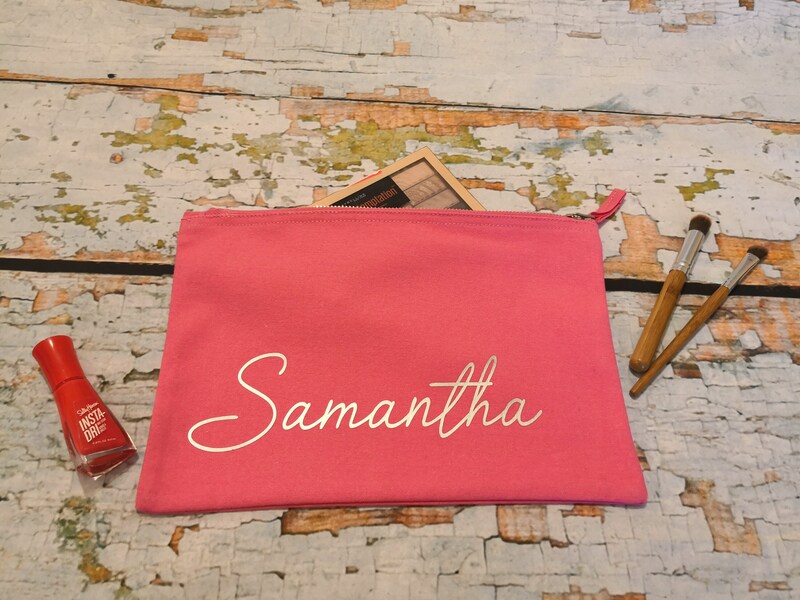 Introducing our beautiful personalised make up bags, these make stunning gifts, for any occasion perfect as christmas, birthday and even bridesmaid gifts and can be personalized with name or role. 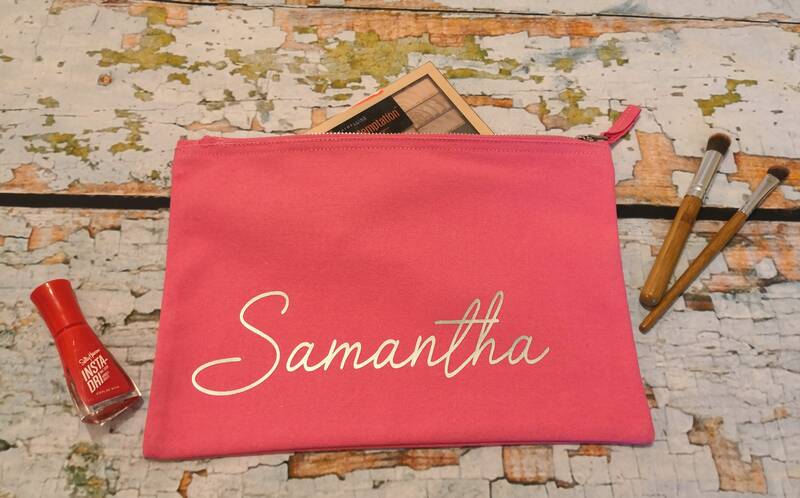 This listing is for one of our beautiful personalised makeup bags, with a name on the front. 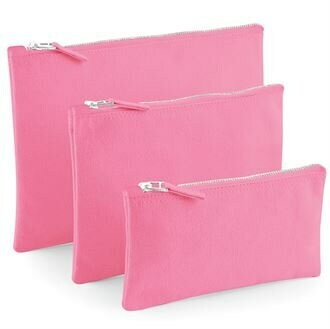 The bags in the pictures are the M and L size bags. 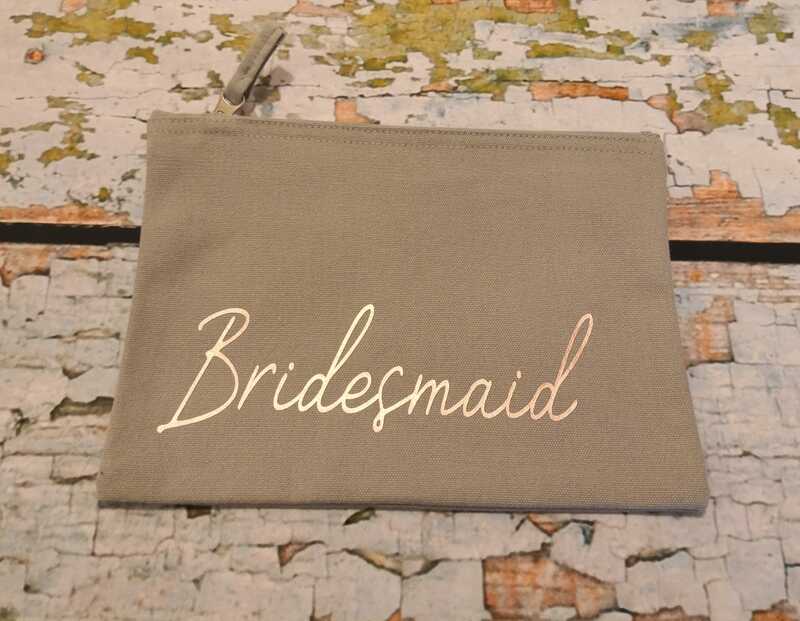 Really good quality product. I ordered for black bags, fabric is thick and zipper sturdy. 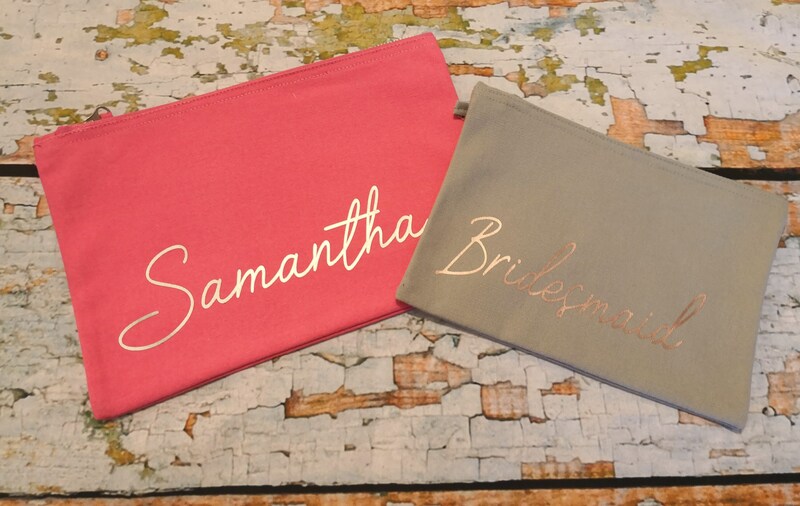 Gold lettering looks really good!